Walt Disney is an American hero--the creator of Mickey Mouse, and a man who changed the face of American culture. After years of research, with the full cooperation of the Disney family and access to private papers and letters, Bob Thomas produced the definitive biography of the man behind the legend--the unschooled cartoonist from Kansas City who went bankrupt on his first movie venture but became the genius who produced unmatched works of animation. 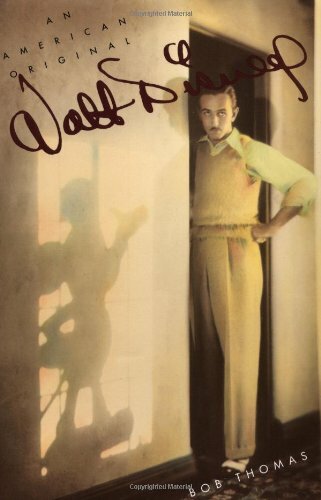 Complete with a rare collection of photographs, Bob Thomas' biography is a fascinating and inspirational work that captures the spirit of Walt Disney.